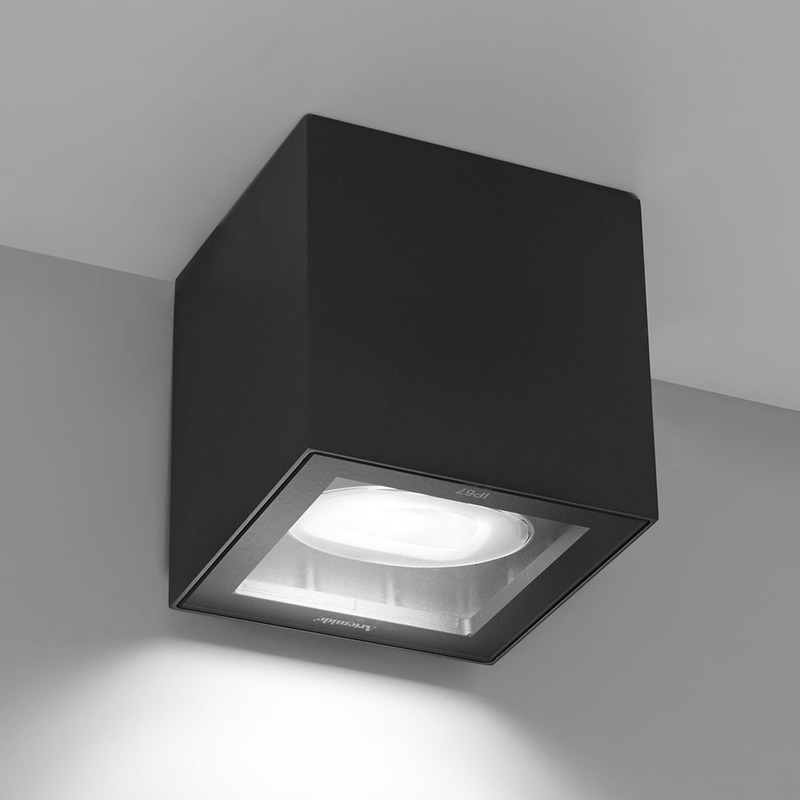 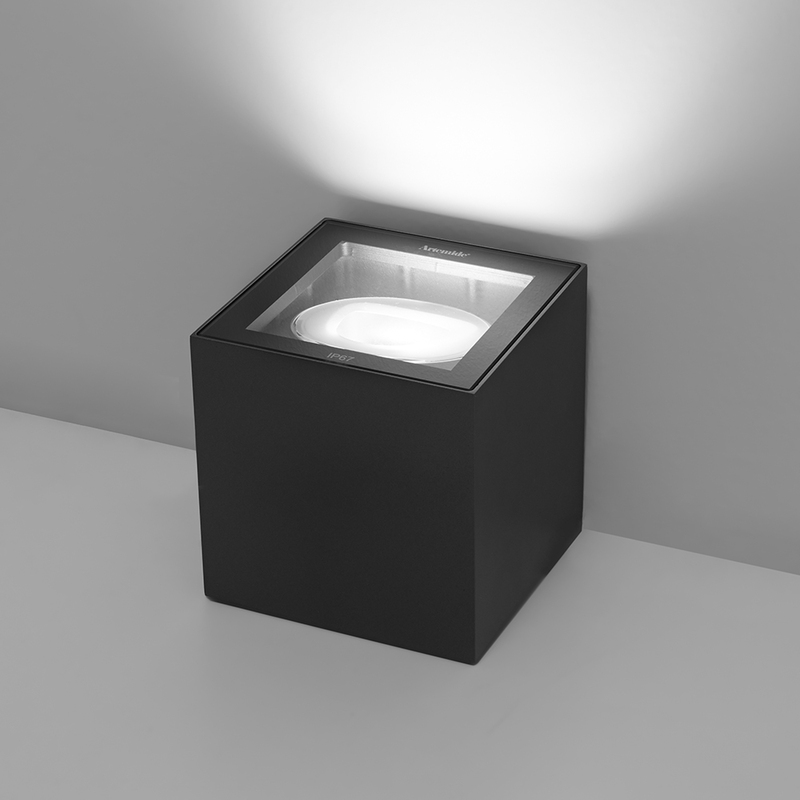 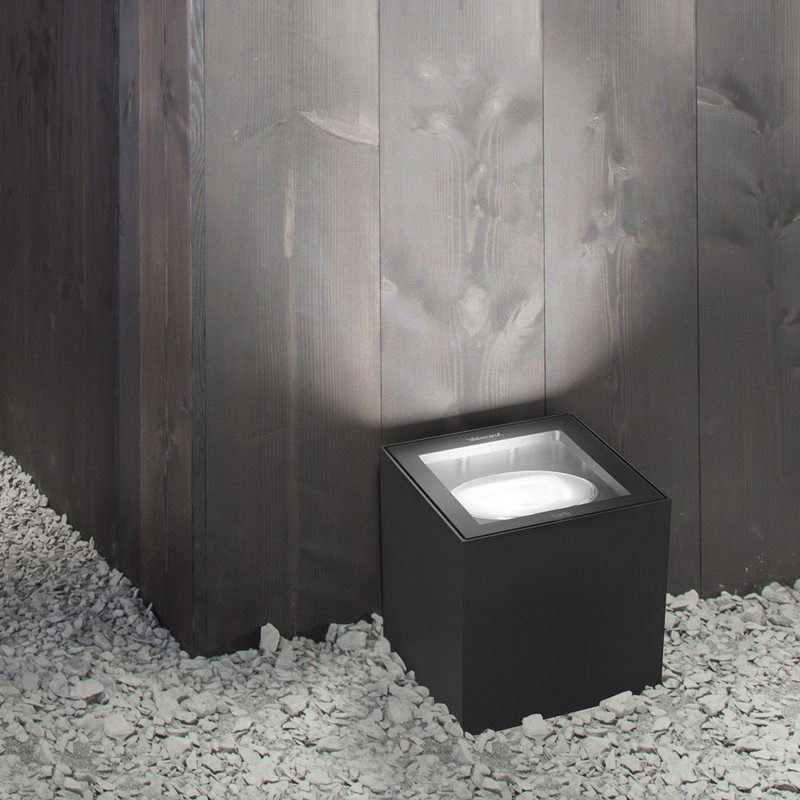 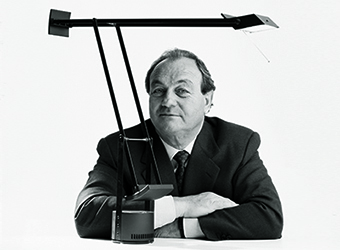 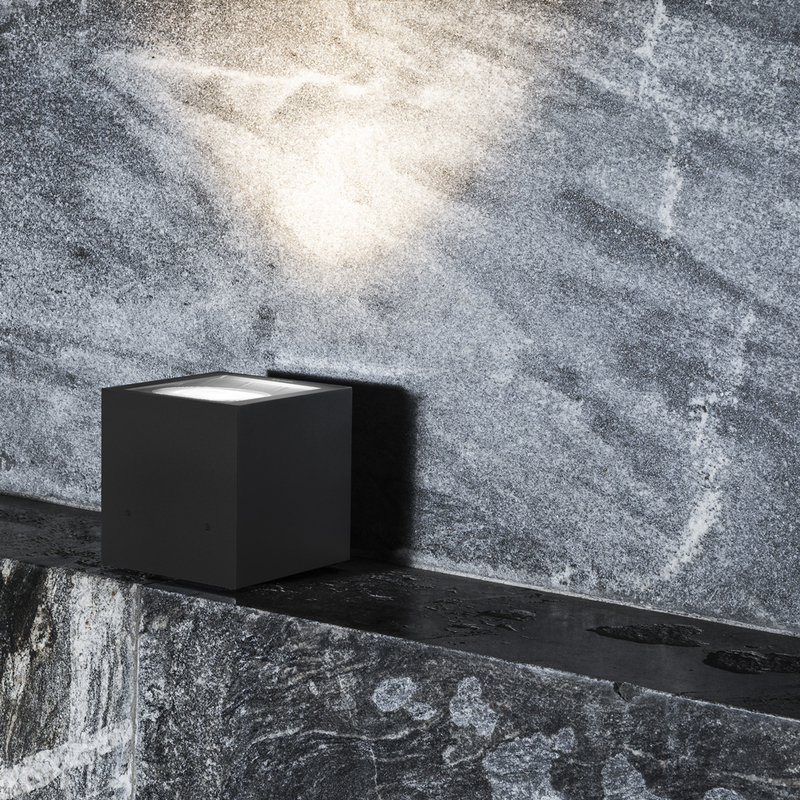 A cube of light for outdoor use on a floor or ceiling creates “wall washer” effect. Basolo’s geometric body adapts to any environment as a purposeful ambient light. -Protection screen in tempered glass.